Climbing involving a rope and some means of protection, as opposed to scrambling or glacier travel. 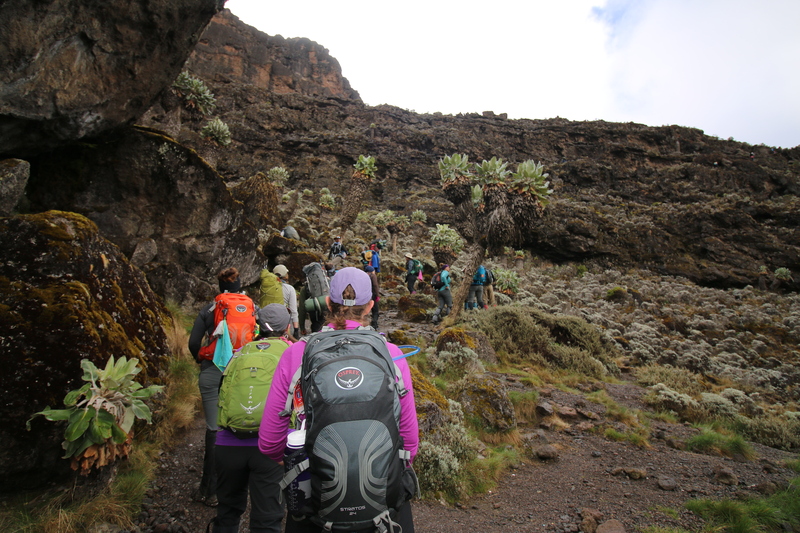 Barranco Wall was one of many great challenges on our climb up Mt. Kilimanjaro. 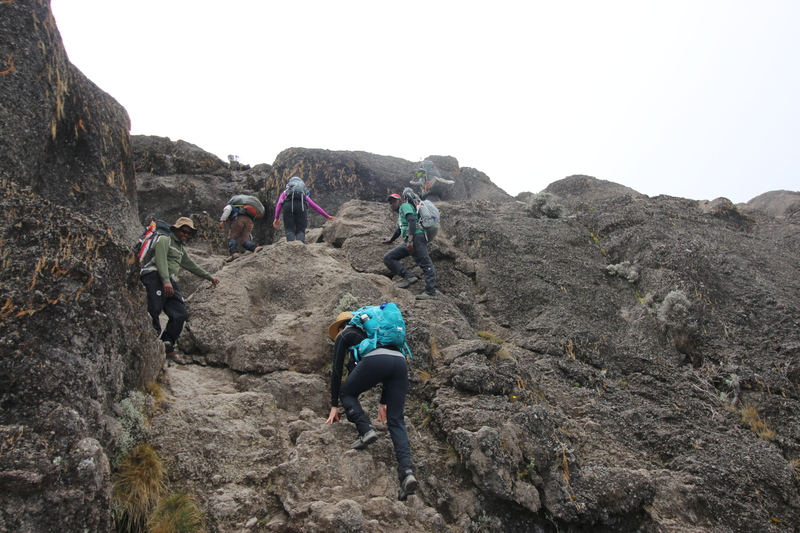 While some people contend that Kilimanjaro is a ‘non-technical’ climb, Barranco Wall really challenges this assumption. 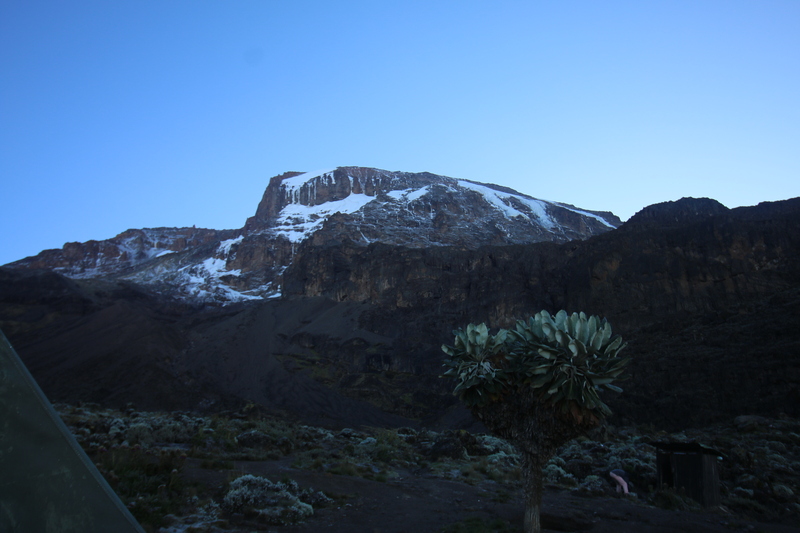 I looked up at Barranco Wall for the first time after an 11-hour trek in the rain. I remembered years ago planting trees in the mountains of British Columbia and remembered that I actually found mountains threatening and sometimes foreboding. Staring up at the wall, I actually could not see a way up the rock face. Intimidating for sure. Heading out in the early morning to scale the wall. There is a way up the wall, it reveals itself the closer you get to the rocky face. One by one we slowly made our way up a very steep incline. In writing this post, I looked over all the photos I have taken and really didn’t find any that do justice to the climb. I realize that even though I had four cameras with me, I was more focussed on getting up the wall in one piece. One section of the climb is called the ‘kissing wall’ – at this point, you have to hug the wall as closely as possible and step over an open section of the rock face. 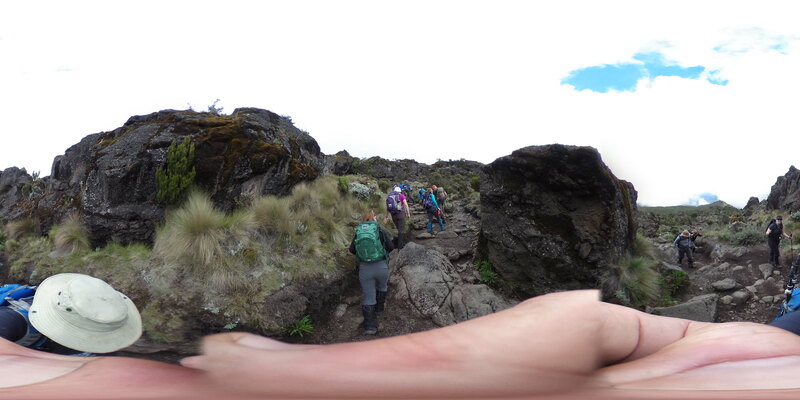 We stepped out into the abyss to be caught on the other side by one of our wonderful guides. We followed their advice and did not look down! 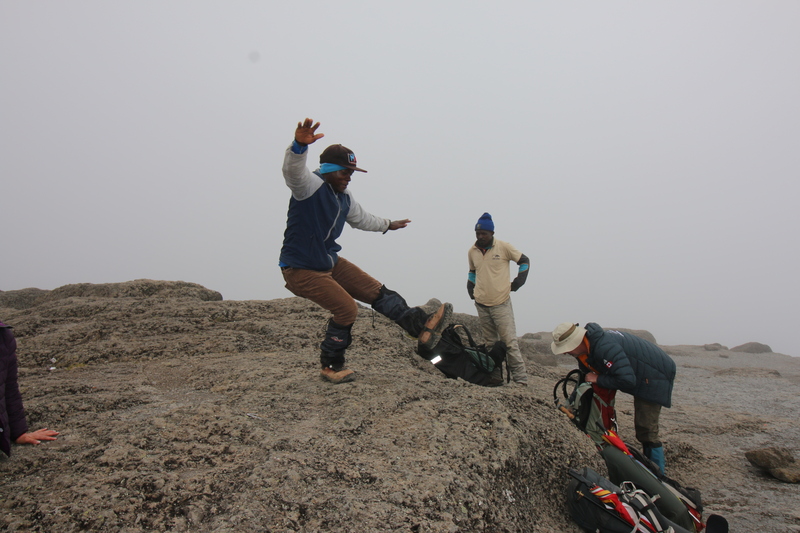 An interesting thing about some of the really challenging portions of the Kilimanjaro climb, you really don’t have any chance but to go up. Your body can do this, you just have to will yourself to keep climbing, no matter what is behind you – just keep moving up the mountain. Looking back on Barranco, I think this will be one of the moments I was proud of what I could do and what our team could accomplish. It takes a few days away from the mountain to really discern the moments that are unique and worthy of celebration. Barranco was certainly one of those. We didn’t flinch, we climbed the wall. So impressed and proud, Paul. Cape Breton will be a piece of cake for you!